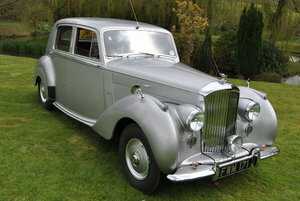 1950 Bentley Mark VI Big Bore Special. Built by a retired engineer. 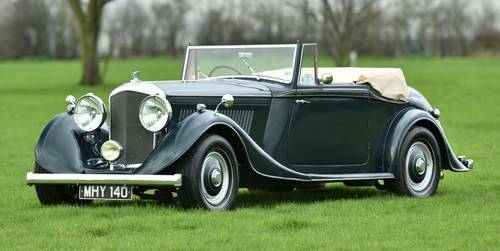 The brief for this special was to capture the essence of a good Derby Drophead with modern Mark VI drivability & reliability. This has after numerous minor changes been achieved with a car that looks good from any angle & looks just as good with the roof up as it does down. The donor car was completely dismantled & the previous saloon body discarded. A new ash frame was fabricated & then clad in aluminium. There are copious pictures of the build process. The resulting car is spacious with a large boot for luggage & a vast additional luggage space behind the two front seats. 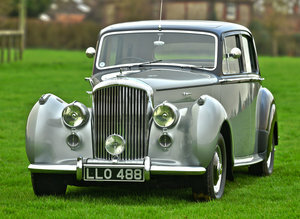 The whole effect is seamless & integrated & looks far more like a coach built car from the '30's as the maker intended. The chassis was stripped & every item attended to as required. At the same time the engine was taken down, tolerances checked & new items fitted as required. A full length stainless steel exhaust was beautifully fabricated giving a freer flow then the factory item. 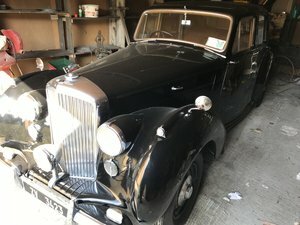 The car is finished in Bentley Racing Green as used on the more recent Le Mans cars. The paint is of course in excellent condition being nearly new. 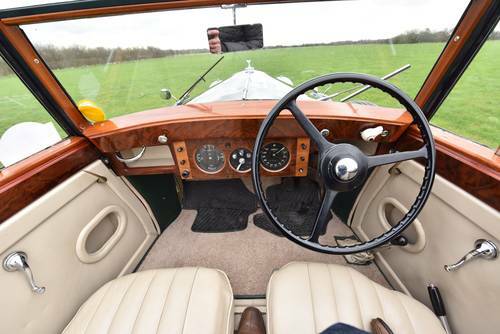 The interior is cream leather fitted to period seats sourced from a Derby Bentley & matching beige carpets & hood material. The hood is cunningly constructed & folds back easily after undoing two simply thumb screws to the top corners of the windscreen. Interior woodwork is Mahogany with figured American walnut veneers. A hood bag fits easily over the hood once furled in the down position. The car is very very useable with ingress & egress easily achieved via the large rear hinged doors. There is plenty of headroom with the roof up & the cabin accommodation is wide. Steering is light & direct & the engine powerful. 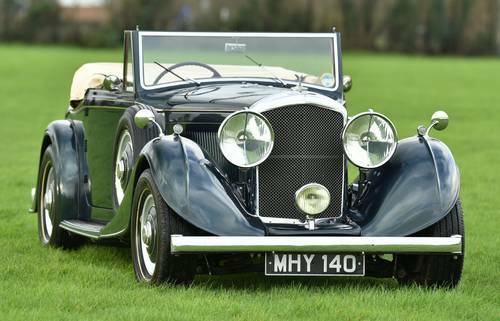 The car offers the opportunity for reliable long distance touring in grand style with none of the issues associated with some of the older cars.